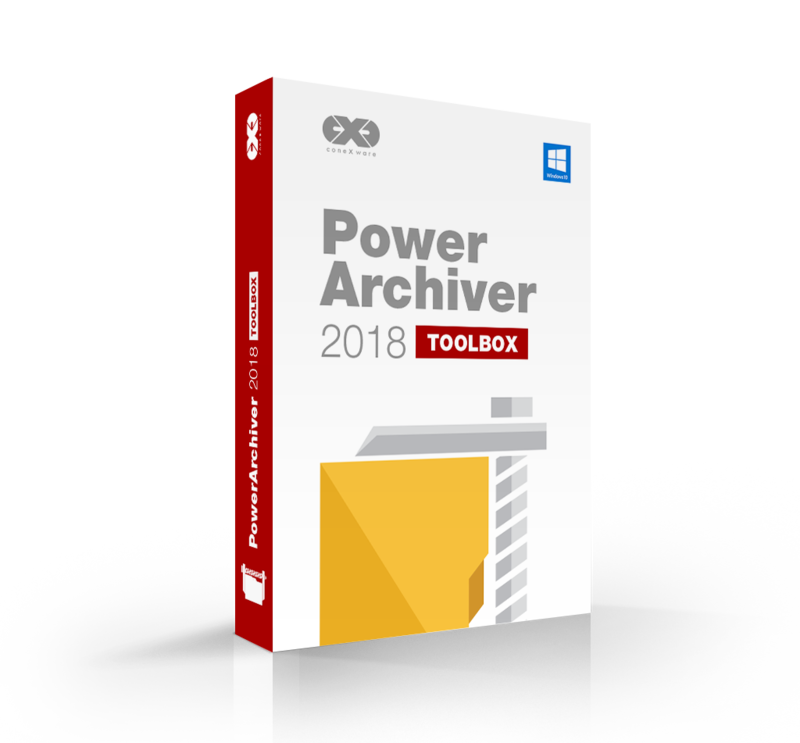 PowerArchiver 2018 Toolbox – Special Offer – $62 off! 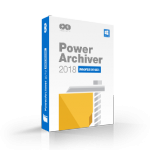 Get PowerArchiver 2018 Toolbox, with all the features available, now with special Lifetime deals that assure all future major and minor upgrades. 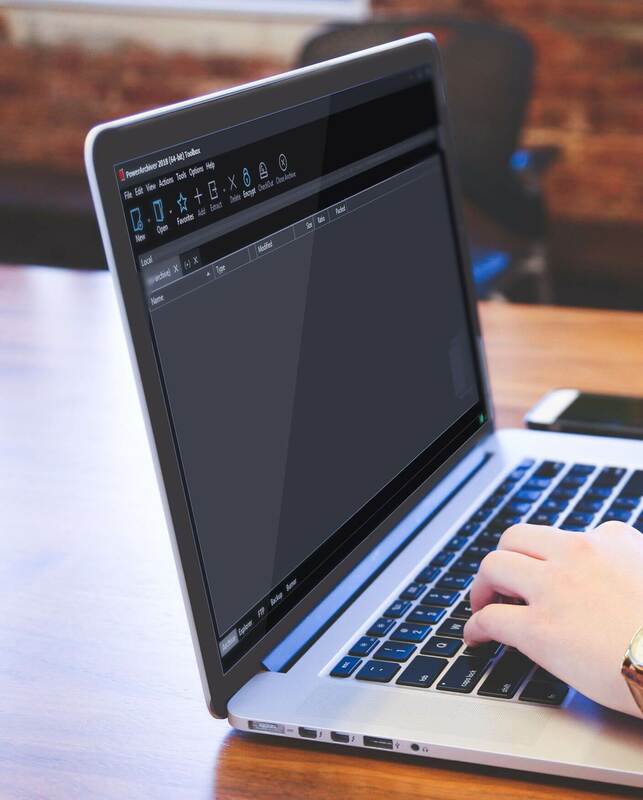 Your PowerArchiver Toolbox Lifetime license will assure priority (telephone/email/webchat) support, prioritize your feature requests, as well as provide early Beta access to exciting upcoming versions, all with a one-time license purchase without the hassle of having to renew. 49.95 with Lifetime Upgrades Lifetime! Includes all PowerArchiver Standard and Professional features. Encryption Suite with OpenPGP and FIPS 140-2 validated encryption. New Advanced Codec Pack (.PA format) with superior compression. Works with ZIP, ZIPX, PA, RAR, ISO and 60 other file formats. Fastest compression, multi-core optimized. Smart interface with Tabs, PDF viewer, Skins, Ribbon toolbar and much more. PowerArchiver Virtual ISO Drive – Mount ISO files as CD/DVD! PowerArchiver Backup with Enterprise grade backup features. Full PowerArchiver Burner with Data Burner, DVD to ISO, Burn ISO and even Audio burner. Full PowerArchiver Secure FTP client with FIPS 140-2 validation. PowerArchiver for Office Add-ins (PAOP) with integrations for Outlook, Word, Excel. Cloud Client integration with Dropbox, Google Drive and 4 more. Full support for Windows XP/7/8/10 and Windows Server! Smart interface, fast start, skins, ribbon interface and much more. Full PowerArchiver Secure FTP client with FIPS 140-2 validation and smart archive handling. Includes all of the PowerArchiver Standard features. Encryption Suite with FIPS 140-2 and OpenPGP. Burn files to CD/DVD, Send to Secure FTP, PA Command Line. PowerArchiver for Office Add-ins – Outlook, Word, Excel integrations. If you are company from European Union (EU) and need to have VAT stated on your invoice, you can order here from our European payment processor Cleverbridge. Various local payment methods are available with minimal fees. *** All prices are without VAT. Send files to FTP/SFTP server. Burn files to CD/DVD/BD discs. PowerArchiver for Office Addins (PAOP). Outlook, Word, Excel. Unlimited type license with free unlimited license additions as long as Select maintenance is active. License counting not required. No site or country limitations. If you need more information about Powerarchiver Enterprise Unlimited, please contact us. What is the “starting point” for number of users counted? PowerArchiver Enterprise Unlimited lets you add unlimited number of users for a predetermined fixed cost. What that means is that for initial count of users, we are counting every employee you have at that point and you can add unlimited number of new employees/licenses after that. So if you currently have 3000 employees, and 2 years from now you add extra 3000 employees, that is fine under the terms of this license and you will stay in Gold edition as if you still had less than 5000 licenses. As long as your maintenance and support plan is active, you can add an unlimited number of new licenses. What is Home use for Employees? At no extra charge, your employees can install PowerArchiver on their home computers, enabling a safe working environment when working from home. What is the Partner Edition? Your business partners will be able to receive a free (sponsored by you) version of PowerArchiver Professional, which is FIPS 140-2 certified, thus enabling safe and secure exchange of data between you and your partners, satisfying various government legislation, at no extra cost. Every order of PowerArchiver comes with 12 months of PowerArchiver Select – a premium support and maintenance plan. It includes telephone support as well as all major and minor updates to PowerArchiver during those 12 months. PowerArchiver Enterprise requires maintenance plan to be active in order to add new licenses/computers/users free of charge. What is the PowerArchiver Select plan? Every PowerArchiver purchase comes at minimum with complimentary 12 months of PowerArchiver Select. PowerArchiver Select is a premium Support and Maintenance plan with following features: Upgrade Assurance (free upgrade to all major/minor versions), Live Registration system that keeps your registration code up to date, Priority Support including telephone support, priority Feature Requests, priority BETA releases. Level of end-user support in PowerArchiver Select is unprecedented in the software industry, where none of our competitors even offer phone support, let alone ability to influence future development. Renewal is available at significantly discounted prices – 73% discount for 1 year renewal and even larger discount for 3 year renewal!